"Rascal" performing at Breyerfest Vive La France in his Stark Naked Bit. bridle. He's now much happier to perform in his Stark Naked Bit! "Ripley" performing at Breyerfest Vive La France in his Stark Naked Bit. and performing in the Stark Naked Bit at expos and more! Welcome to Stark Naked Bits™. We're a small family owned bit company offering an alternative bit for horse and rider teams that may have difficulties using traditional bitting methods. Jaw bits of many types have been used for thousands of years, and while there are a few similar bits made of cord, leather or metal out there, Stark Naked Bits™ is the first company to bring the design into the 21st century using Child Safe, Medical Grade Bio-thane®. Unlike other jaw bit designs, the Stark Naked Bit™ is stitched in a way that causes it to spring back into shape after releasing pressure, providing instant reward to the horse. Leather and cord jaw bit designs conform to the horse's mouth shape, never turning "off", even when the reins are dropped. So pressure is constant. And unlike leather and cord our medical grade Bio-Thane® bits do not rot, mold, stretch or shrink. 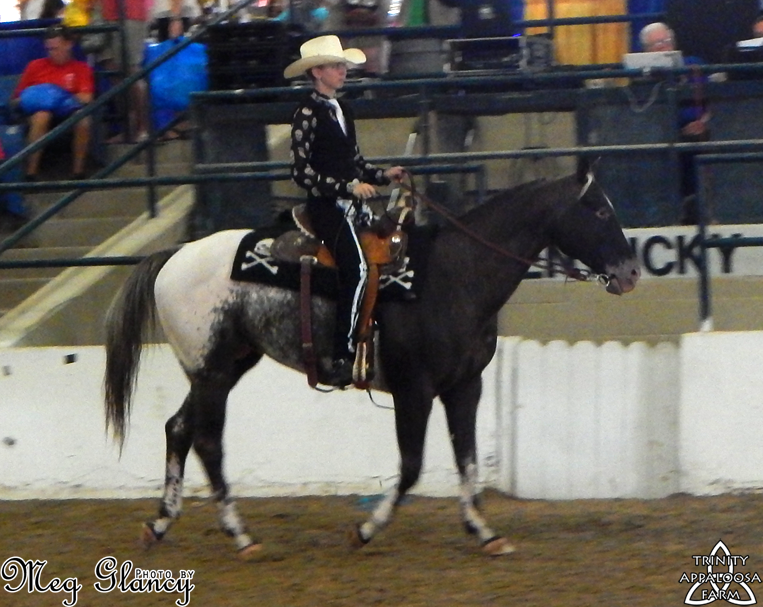 You can disinfect them between rides and not worry about transferring germs to other horses. Every Stark Naked Bit™ is custom made for the buyer. Any length of mouth is possible from the smallest mini all the way up to the largest draft! We have three widths of Bio-thane® available as well as Stainless Steel and Brass rings and fittings. The SNB comes in both traditional (brown/black) and a rainbow of fun colors too, and you can even mix and match for a multi-colored bit! The Stark Naked Bit™ sitting correctly without a headstall. 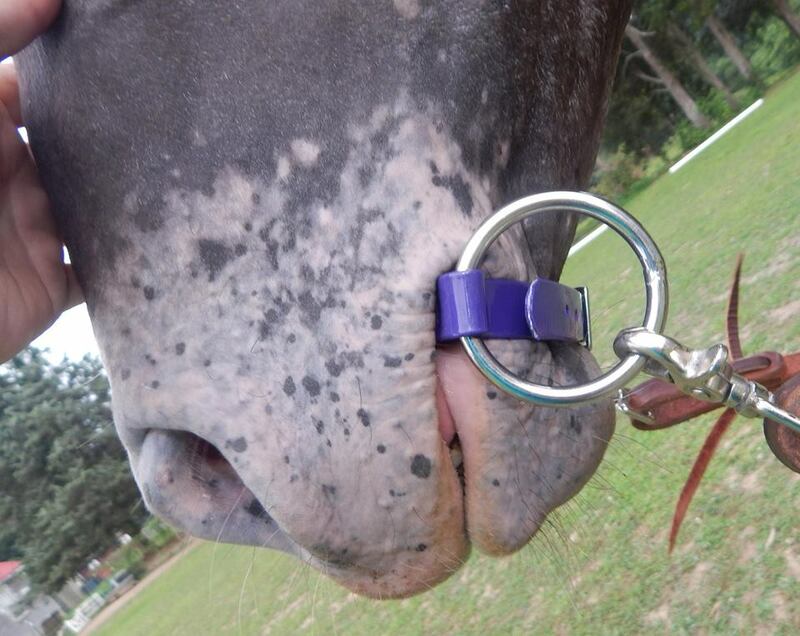 The Stark Naked Bit™ is a great alternative for horses who have suffered bit trauma, as the stable design keeps the bit from being too busy in the horse’s mouth. 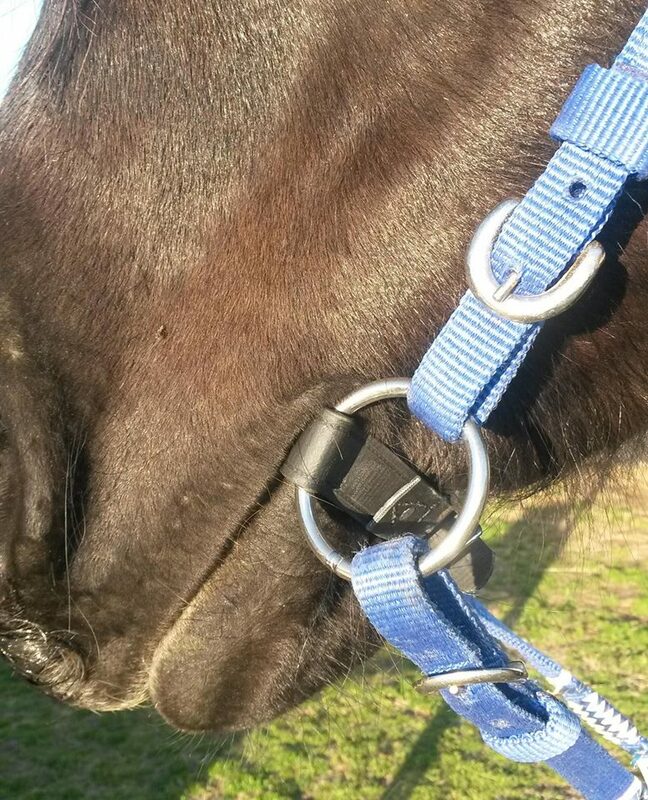 It is also an option for horses with head shaker’s syndrome, caudal nerve damage, or bridling issues. We've heard back from several of our customers that the bit is a great option for horses that are "fussy" and have bitting anxiety. More and more people are using it to start young horses, as its flat, unthreatening shape is mild and doesn’t cause pain or fear. The SNB can be used with or without a headstall and is suitable for training and working in any discipline. It is show legal in Jumping, Gymkhana and other events which allow bridleless competitors. 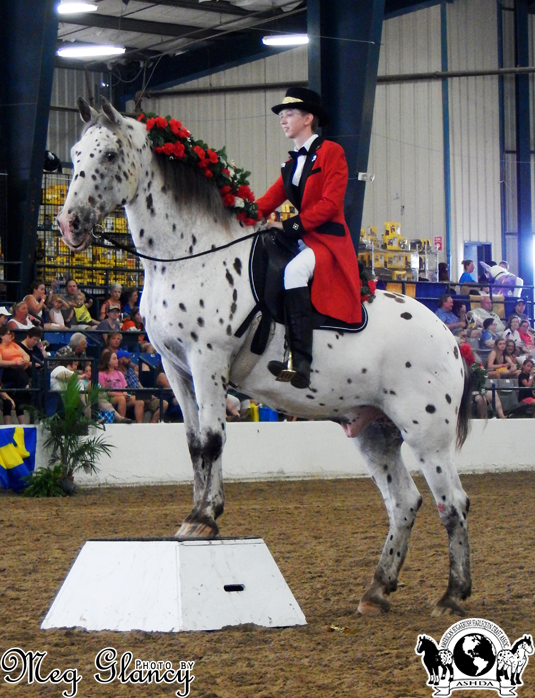 We also have several customers who have competed on the open circuit in Hunter, Sidesaddle and more! The Stark Naked Bit™ sitting correctly with a headstall. The Stark Naked Bit is by no means a miracle bit, but it is an alternative piece of equipment which allows you an option to work with your horse in a way traditional equipment will not. If you have any questions or would like to order your own Stark Naked Bit please contact us on our Facebook page! page! People all over the world have chosen to ride Naked! We’d shipped bits from the US to Canada, South Africa, Germany, England, New Zealand, Australia, Mexico and Finland. Our Images/content may not be used without express permission. All outside photos used with permission.